I have been an Avery customer for years. I can honestly say I've never had a negative experience with any of their products. They are and have always been a brand that I can trust. 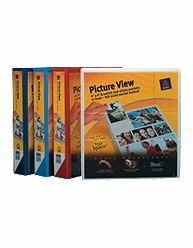 Avery offers a wide variety of office and school supplies, templates and software. From labels and binders to dividers and note tabs. The two things that I love most about Avery products are their quality and durability. It doesn't matter whether my husband and I are using the products or whether our two school-aged children are using them, they are going to hold up and last for a very long time. In fact, my son will be going into 5th grade this year and he is still using his Avery binder that we bought when he started kindergarten. Another thing that I love about Avery products is that with every purchase I'm able to give back to my kids school. Their products each have a Box Tops for Education label on them worth 10 cents for our school. Through the Box Tops program our small school earns nearly $800 each year. I looovveAvery binders! They hold up forever!